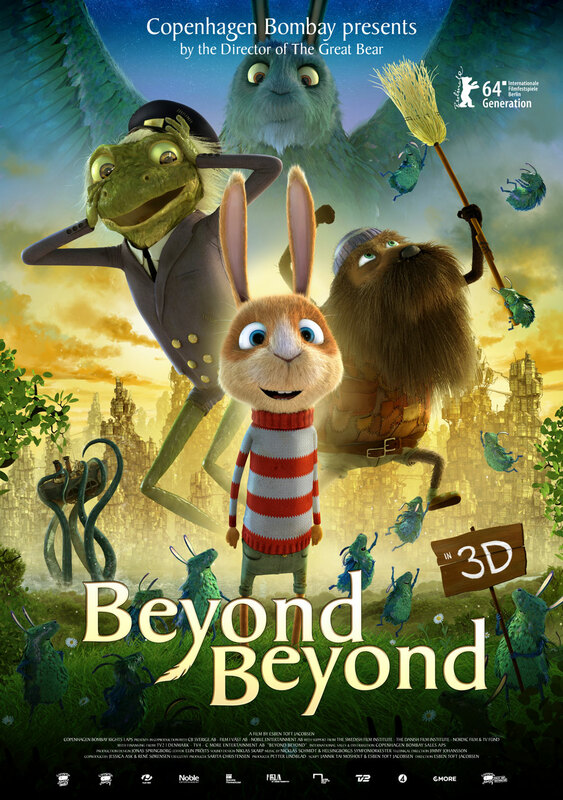 Johan, a rabbit boy, goes on a journey to a magical world. Here he meets the Feather King; Bill, the mad architect; a tough skipper; and all the spring princes. But the Feather King’s realm is not for small rabbits. Johan will need all the help he can get from his new friends to return to his Dad and his own world. The feature was produced in Stockholm and in Copenhagen, by CB Sverige AB and Copenhagen Bombay Rights 1 ApS. It was co-produced with Film i Väst AB and Noble Entertainment AB. You can do much crazier things in animation than in live action, and that gives you a lot of freedom in your storytelling. But above all, the story has to be touching. And the film’s target audience, 6-9-year-olds, have to feel safe in the protagonist’s company. He may be just a little rabbit, but he has the tenacity to get things done. Nothing fazes him. Holding him by the hand, you’re not afraid to enter an unknown world populated by strange, crazy creatures. The Feather King looks intriguing, but you have to really stretch to see him as a gryphon. Too lazy to remember my log in.